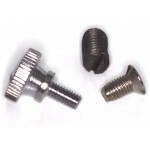 1 3/8" long, diameter approximately 3/8", thread 18-096. 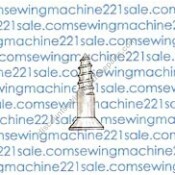 This was a special made screw by Singer th..
****No Longer Available**** Sold seperatly $5.95 EACH Fits the following Singer sewing machine.. 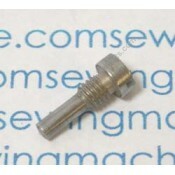 Fits clutch knob #051738.Alternate Part Numbers140881Fits the following Singer sewing machine models.. Fits 500 class. 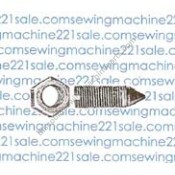 Fits clutch knob #172520.Fits the following Singer sewing machine models 500A, 503,..
(set of 2) for $3.95 Standard, most common, fits most Singer and other models (except 242, 3102, .. 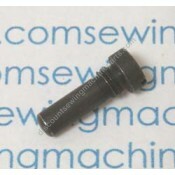 This part is compatible with Husqvarna Viking machines in groups 1, 2. 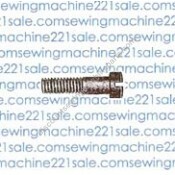 This is a back mount screw f..
Viking long needle clamp screw for walking foot, free motion foot and ruffle for machines where the ..
Singer needle clamp screw (thumb type screw as viewed) fits many models. Also fits needle clamps 16..
Screw to attach side legs to the central brace. Screw is approx. 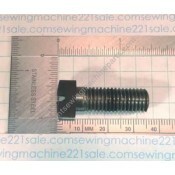 1 1/2" long and is a rare thread s..
Includes screw and nut. Centering screw with nut designed to allow a small amount of movement betwe..
****No Longer Available**** Wood screw to attach metal stand to upper wood cabinet top. 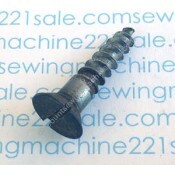 Screw is .. 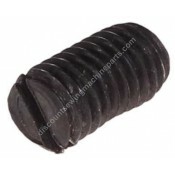 Adjusting screw with rubber compressing ring for plate #45306..